A couple of years ago Brevig Mission School lost eight teachers at the end of the school year. That's a turnover rate of over fifty percent! Each teacher had their own reasons for leaving (one was getting married, one wanted to be closer to grandchildren, etc. ), but the loss was kind of alarming. 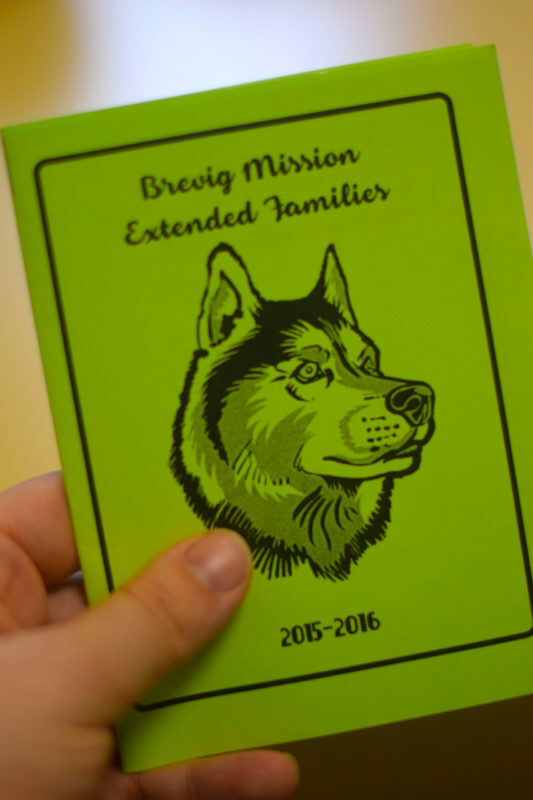 The Advisory Education Committee in Brevig Mission decided they wanted to do something to help teachers want to stay in Brevig Mission, and the Extended Families program was born. We recruited fifteen local families to adopt a teacher/teacher family. Then we hosted a spaghetti dinner where the families were introduced to the teachers. We had a couple of icebreaker questions (my favorite of which was "what is the story of your name? 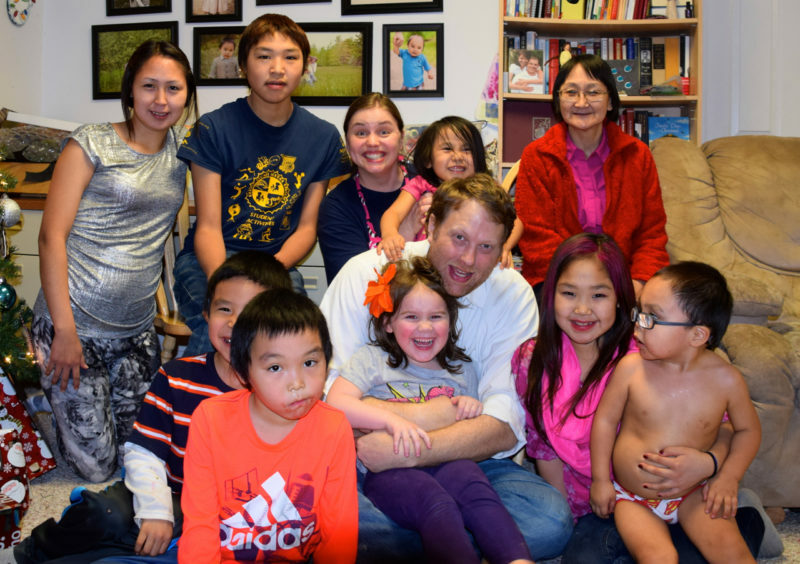 "), and the local families and their teachers visited over dinner and dessert. The goal was for each local family to get together with their teacher once a month. This is my family with our Extended Family (plus a few extra kids) in December 2015. We got together for a Christmas party! 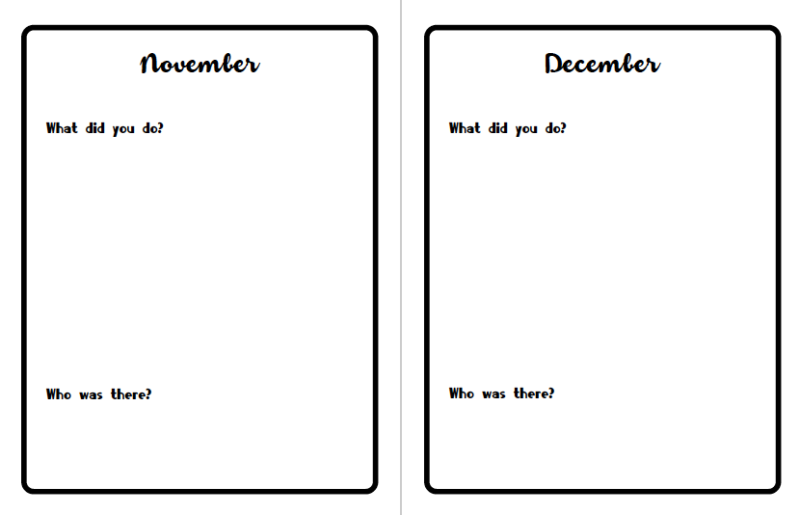 We made a little booklet for each local family where they could keep track of the monthly activities. 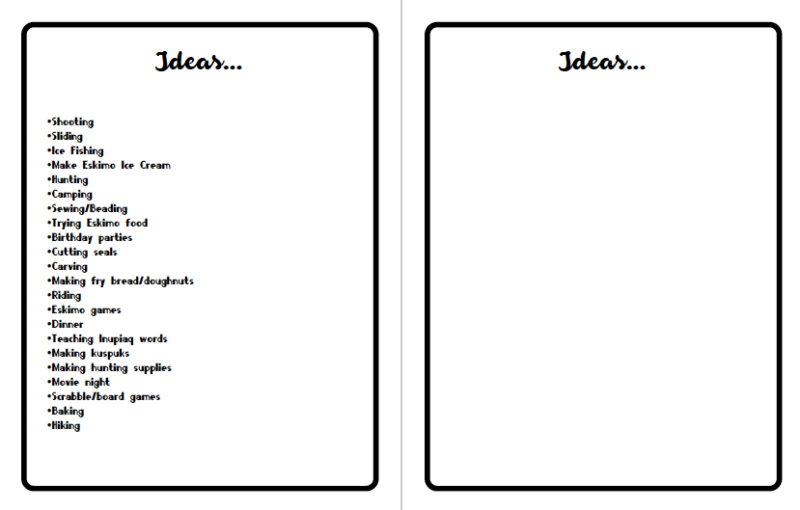 The booklet even had a list of ideas, as well as space for more ideas (which each group generated during the icebreaker session). At the end of the year, each family had the opportunity to turn in the completed book for a little cash prize. It wasn't a perfect program. Not everyone had or took the opportunity to develop relationships, but many did. Teachers went camping with local families. Teachers attended birthday parties. Local families served Eskimo food. Meals were shared. Berries were picked. It was fabulous. In May 2016 we held an end-of-the-year ice cream social where we played minute-to-win-it games and brainstormed ideas for how to make things better next year. I'm happy to report that we've implemented the ideas from the brainstorm session. We had our first social the evening of the first day of school, teacher names were drawn out of an empty coffee can, and we will repeat the process during second quarter. I'm excited to better know four more families this year! I'll keep you posted on how things develop and what the overall opinion is about switching families quarterly. Here's hoping many memories will be made and many teachers will return again next year!